Brand new album, Fathom, coming May 31st on Argonauta Records! Italian power stoner rockers VEUVE are messing around since 2014, following up on a self-produced debut EP and their 2016 full-lenght album, Yard, the band takes on a new step and will release their hotly anticipated, sophomore album on May 31st with Argonauta Records! 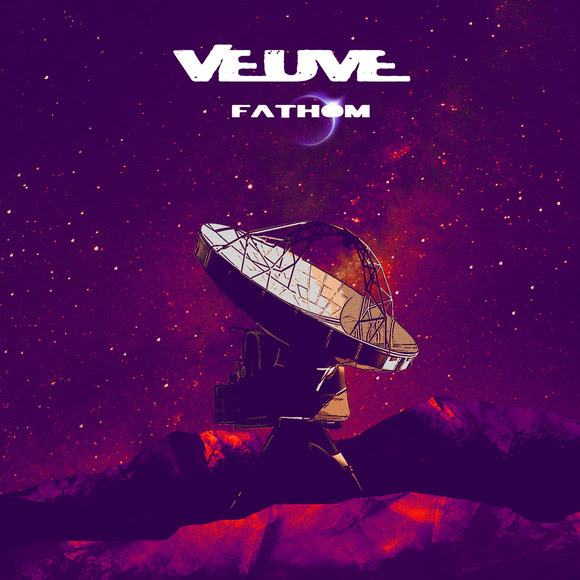 Fathom will once again worship VEUVE’s refreshing mix of fuzzy seventies-fashioned riffs in the likes of mother Sabbath, father Kyuss and the big brother Hawkind, infinite kraut-rock drifts into modern post-metal trails. Today the band is sharing with us not only the album artwork and tracklist, but also a first track taken from their upcoming Fathom album! “Thrilled to finally announce the release of “Fathom”, a work that we feel “ours” from the first to the last minute and that keeps the evolution going in style and sound begun in “Yard”, our latest release.“ the band comments. “The recordings covered almost the whole 2018, that has also been an hard year for us as a band and as individuals, but we are really proud of the result. Can’t wait to bring it on stage! “Fathom” itself is a very diversified album: it cruises from the cocky, classic heavy rock with lots of fuzz to more psychedelic, post-rockish situations, often passing through spacy escapes; we just let the things flow. Listen to the album opening track ‘Radars Are High’ HERE! Coming out on May 31st in CD and Digital formats with Argonauta Records, the album pre-order, further album tunes as well as a touring schedule will follow soon! Heavy stoner rock unit REDSCALE signs worldwide record deal + reveals album details!